This year I had the great opportunity to try my hand at deer hunting from a tree stand. Being new to the sport of bow hunting, I had spent the previous summer visiting friends in the area I was likely to hunt, where they were kind enough to enlighten in to the incredible adventure to come that fall. My coach for a large part of this ‘training’ was Dave Sumner, the inventor of the “Turkey Dave Footrest” and “FlirtyGirty” panfish jigs. Dave is an accomplished hunter and would not let me place any tree stands until I had a better than average grasp of bow hunting. Dave and I walked the game trails each and every time I would visit Wisconsin from my home in Miami, Florida. He gave me excellent instruction on not only how to find well used deer trails but how to walk them without telegraphing to the deer that I had been there. My friend would give me what we called “Ishi” points for each task I performed correctly in my quest to become a bow hunter. Ishi was the name of the last Yana Indian, who was a legendary woodsman and hunter, he died in 1916. These tasks included, not only finding the deer sign and trails, but understanding why deer would be in this area and which way they may be coming from. I was also taught to understand the prevailing wind patterns for the seasons in determining where a tree stand should be placed. In all honesty, this education had been going on for nearly two years and I had promised not to draw my bow on an animal until I had accumulated a sufficient number of “Ishi” points to satisfy both Dave Sumner and another friend Dave Roll (the cameraman for Northland Adventures w/Dave Carlson). These guys are true woodsman and would actually ban me from hunting their land if I had ever attempted to use anything in addition to knowledge to harvest a deer. 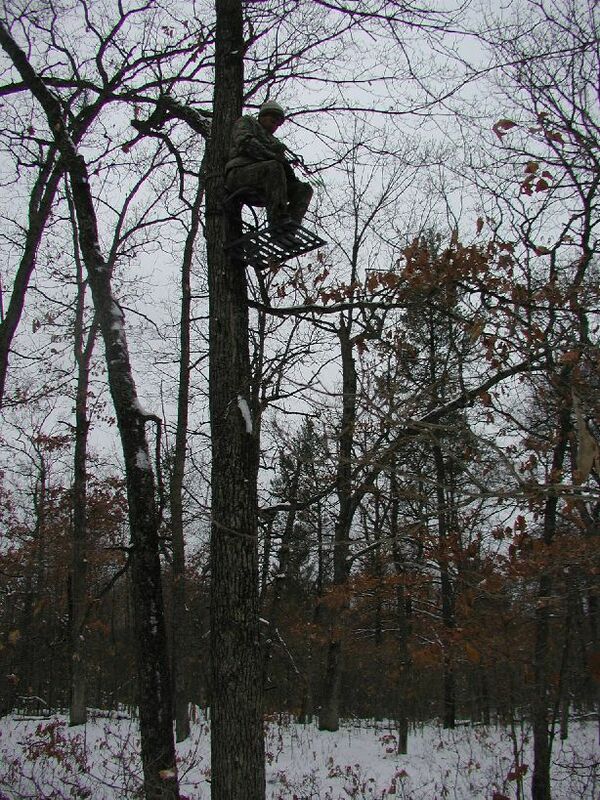 After, what I considered a very lengthy education, I was taken into the woods on late summer day and was asked to point out any places I would consider placing a tree stand. If I found such as spot, I would then have to give a minimum of 6 reasons that I would consider placing a stand at that spot. These reasons may have included, nearby food sources, scrapes, wind direction, water sources among many others. We then placed several stands that could be used depending on the direction of the wind. 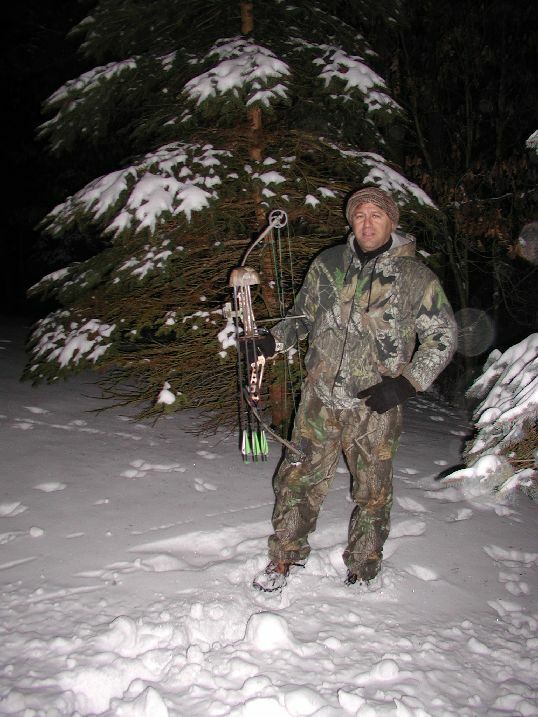 That fall, I found myself preparing to sit in my tree and give my first crack at taking a deer with a bow, actually I had never taken a deer before so this was my initiation! After several unsuccessful journeys into the woods, I found myself sitting in my tree stand one late afternoon, trying to remember all the words to Jimmy Buffett’s “Cheese burger in paradise, when I heard the leaves crunching to my right. A doe had come up the trail and was moving into range. Being a left handed shooter this was a very good side for me but I had limited shooting alleys. The deer mad a sharp left and I knew I would have one chance to stand and draw under cover of a large Oak tree. With my heart pounding, I stood and pulled back my bow, as the doe emerged from behind the tree I let my arrow fly. At first I wasn’t sure I had hit her as the doe took off like a bat out of hell and I saw my arrow stuck in the ground. The lack of foliage this time of year made it easy to watch the animal run about 75 yards turn around, wobble and lay down. I wouldn’t say I panicked at that point as much as I was giddy with excitement, and this being my first deer I was a bit perplexed at what to do next. I remember my friends telling me not to chase the animal for about 30 minutes or more after the shot, ‘BUT THIS WAS MY FIRST DEER!!! !’ So I did what any city boy would do in this situation, I called Dave Roll and exclaimed, “I got one” and “I’m freaking out!” My buddy who has been in this situation very calmly said “ what stand are you in, I’ll be there in 30 minutes, stay in the stand till I get there”. It didn’t matter that I could see the animal lying on the ground, I stayed in my stand. Of course I called just about everyone I know from that stand, which led to my friends ridiculing me for taking my cell phone into the woods and calling without there being an emergency. The bottom line, I took a very nice doe at 34 yards, and have been hooked on bow hunting ever since, and boy do they taste great when you harvest venison yourself! 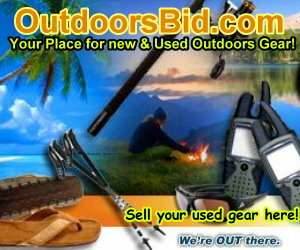 » Equipment/Reviews, Hunting » Go Climb a Tree Stand!